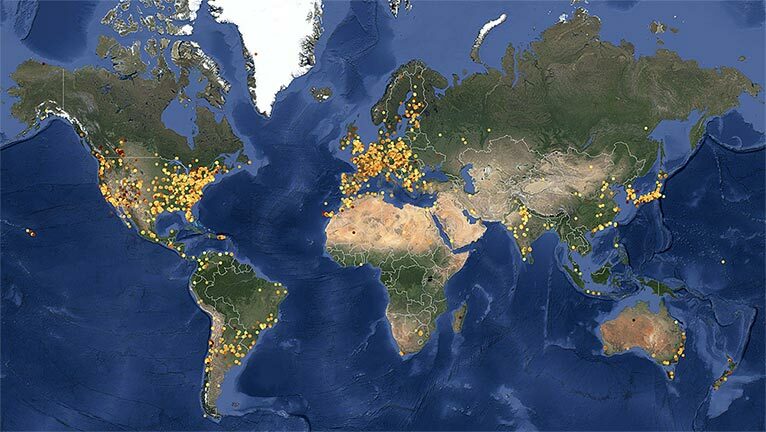 The total number of observations during the 2013 GLOBE at Night campaign was 16,342. 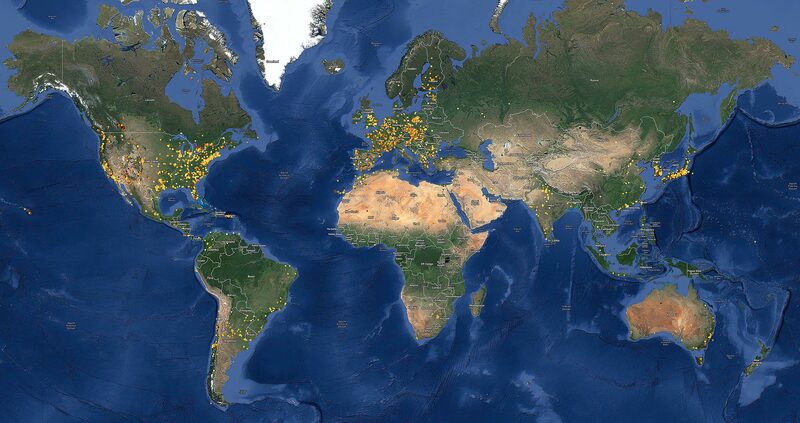 89 countries participated in this year’s event; 20 of those countries contributed more than 93% of all observations. The top 20 countries were the United States (6406), India (2020), South Korea (940), Poland (883), Canada (689), Morocco (658), Japan (620), Chile (615), Romania (520), France (267), Spain (211), Italy (210), Macedonia (FYROM) (199), Germany (195), Argentina (183), Czech Republic (176), Puerto Rico (150), Mexico (120), Bulgaria (115) and the United Kingdom (115). The United States (with 48 states plus the District of Columbia) contributed nearly 40% of all the observations (6408). Nearly 20% of those were from the state of Michigan (1251), Over 14% of the US observations were from Arizona (923). The next four states with the most observations were South Carolina (552), California (523), Oklahoma (419) and Texas (393). More than 2 out of every 5 observations of limiting magnitude gave a value of 3 or 4 mag, which is typical of measurements contributed by medium to larger sized cities. Nearly 83% of the measurements (or more than 4 out of 5 measurements) were taken in light polluted areas from where you could not see the Milky Way Galaxy. For full access to the GLOBE at Night database, data files in various formats from any of the 8 years are downloadable from the map page. Additionally, clicking any map on that page will open a second window with an interactive world map on which you can display data from any year, limiting magnitude, and topological appearance. And you can zoom in to within a few kilometers resolution.